Ed Jamison became the Director of Dallas Animal Services (DAS) in October of 2017. 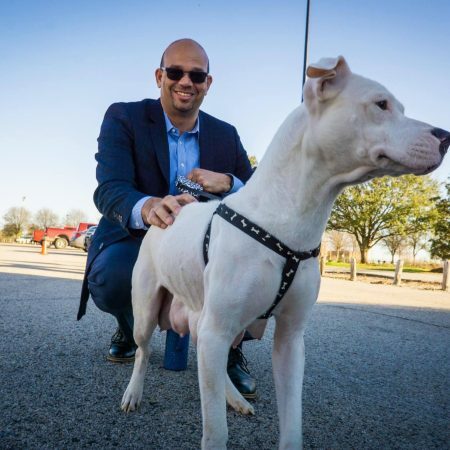 The animal situation in Dallas has been the center of scrutiny over the years due to large roaming dog populations, high profile dog attacks, and low positive save rates from the shelter. With over 34,000 dogs and cats entering DAS yearly, Dallas is the 4th largest intake in the United States. Ed has been tasked to increase public safety by getting lose animals off the streets, while at the same time increasing positive outcomes. To accomplish that, Ed is leading a staff of around 200 employees, maximizing the relationships with the rescue community, rebuilding the volunteer base, and instituting new, progressive programming. The newly launched “Dallas 90” campaign is designed to help create a community where all people and animals are safe, treated with respect, and have access to the resources needed to thrive. Prior to coming to Dallas, Ed was the Chief Animal Control Officer for the City of Cleveland, Ohio, but he entered the Animal Care & Control World in the mid 2000’s while he was the Animal Warden for the City of Garfield Heights, a suburb of Cleveland. In his time serving Cleveland, Ed made a push to redefine the way Animal Control functions, and re-brand the public’s perception of the industry, particularly with “pit-bull” type dogs. The award winning, trademarked CITY DOGs Cleveland Adoption and Volunteer programs are flourishing and being copied throughout the country.